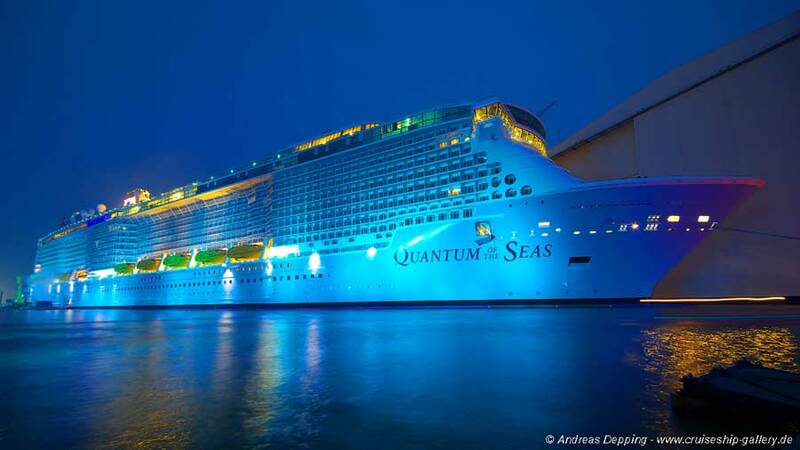 For the first time Quantum of the Seas has had the chance to show of a little while at the Meyer Werft shipyard in Papenburg, Germany. 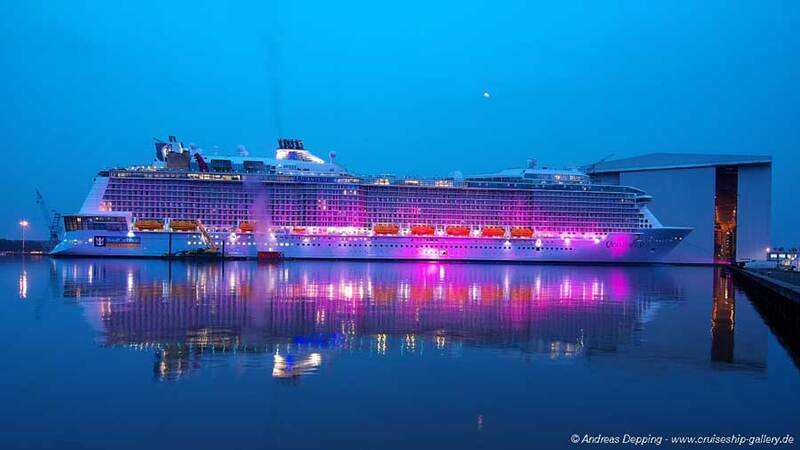 Papenburg had its festival on Saturday but this year it was something special thanks to the 167,800 ton Quantum of the Seas as the back drop. 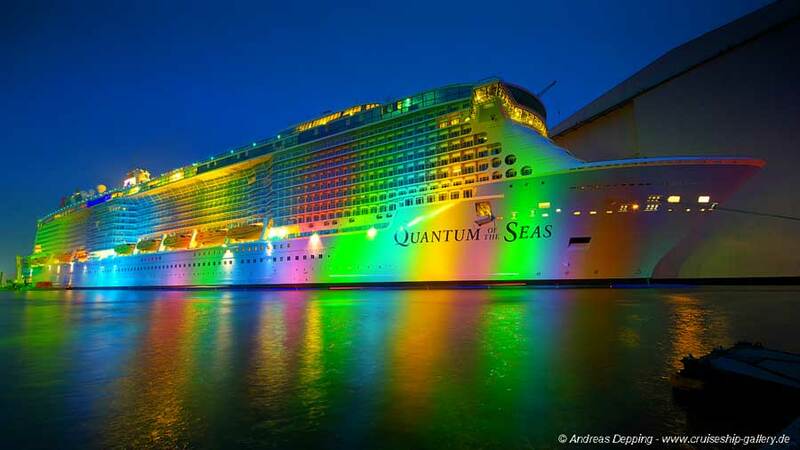 It was lit up in lots of different colors throughout the evening to the delight of over 25,000 people. 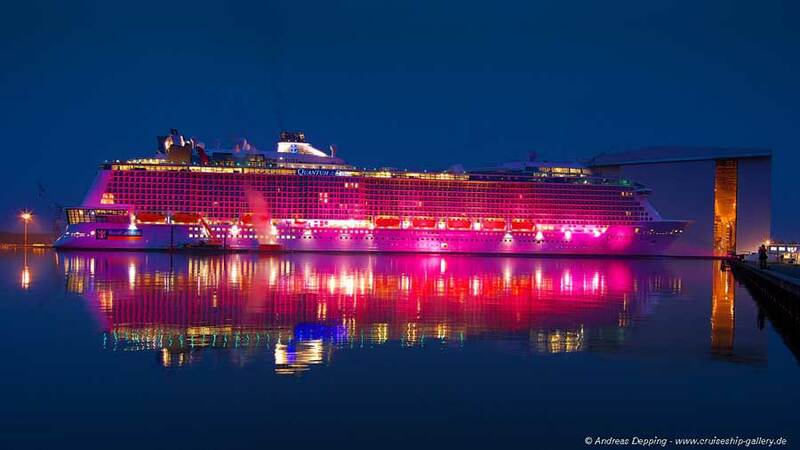 The Harbor festival also featured music artists including Wingenfelder and Sunrise Avenue. 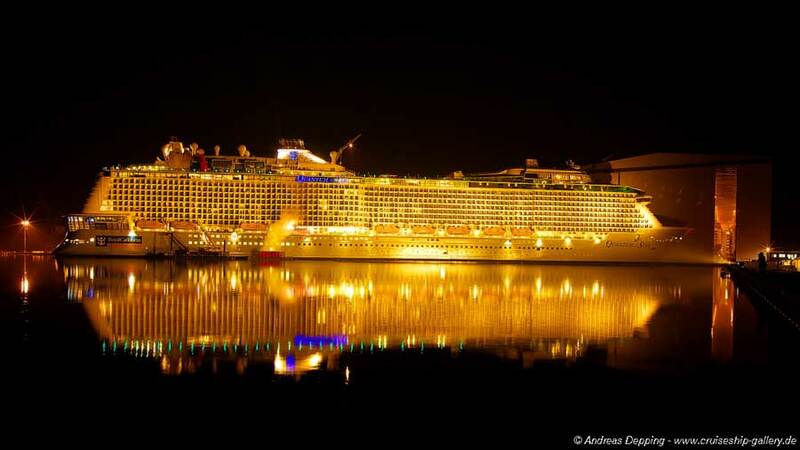 This is the first time the ship has had a chance to show off since it came out of the construction dock last month. 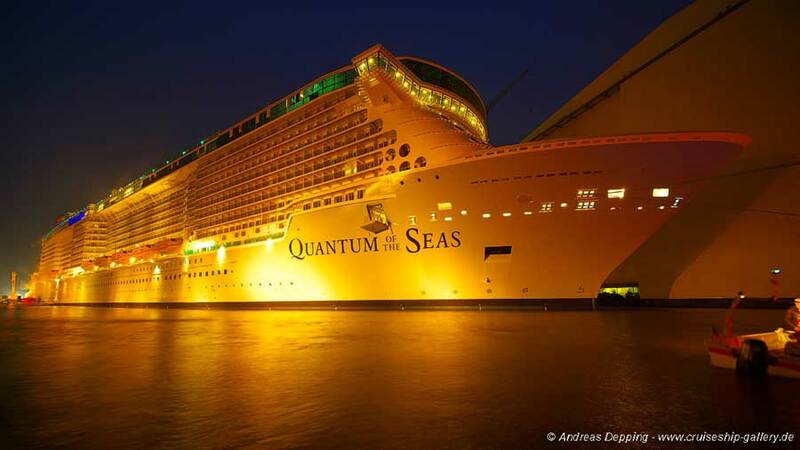 It won’t be the last time you’ll hear about Quantum of the Seas in the news as the cruise line is now building up to it’s official delivery. 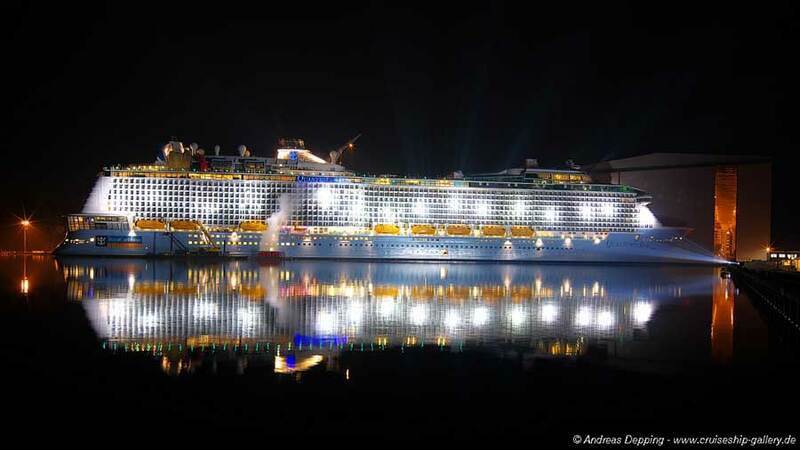 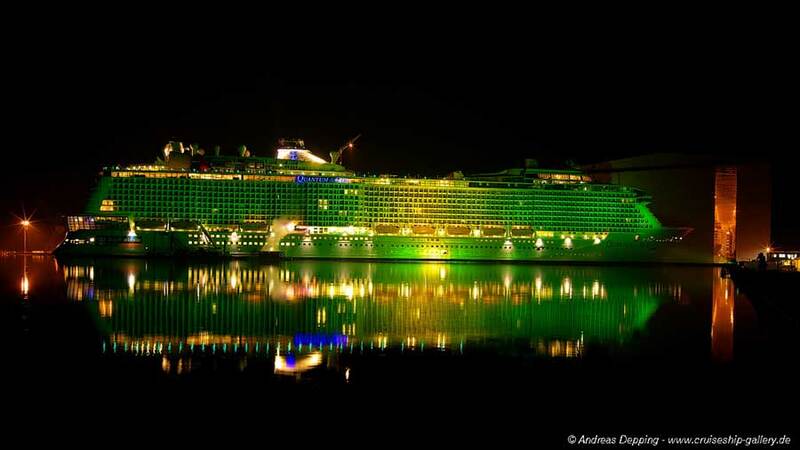 Cruise Hive has got permission to showcase some amazingly lit up photos of the new Royal Caribbean cruise ship which were taken by Andreas Depping at German site Cruise Ship Gallery. 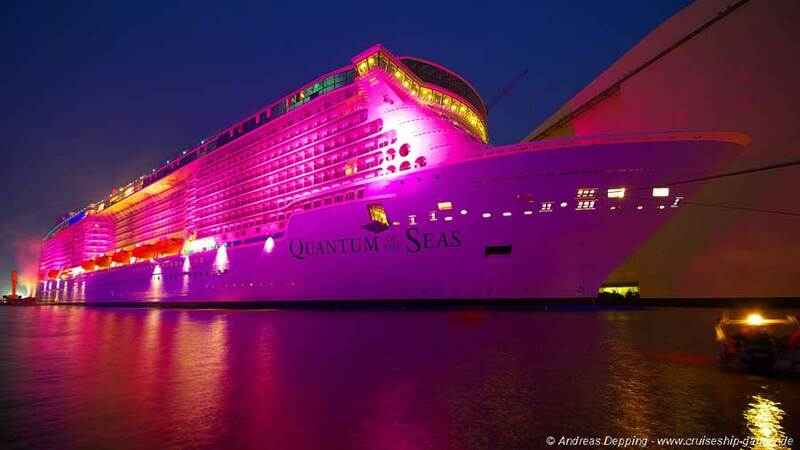 Quantum of the Seas is now in its final stages of construction at the Meyer Werft shipyard which is where the festival was held. 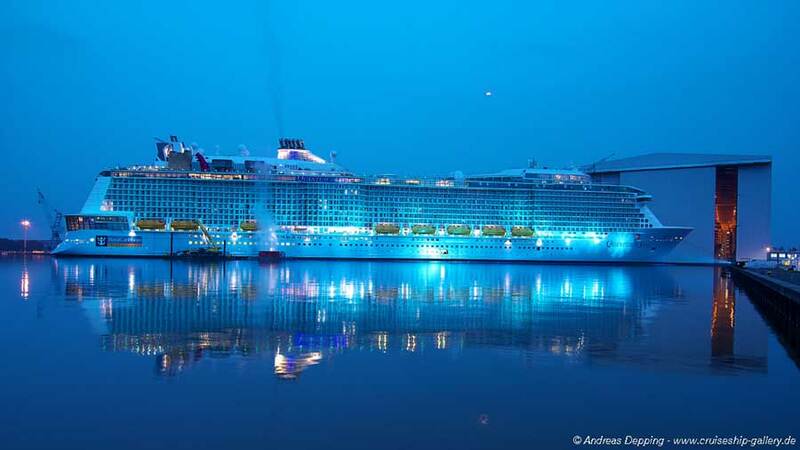 The ship will be delivered to Royal Caribbean in November 2014 where it will begin it;s inaugural sailings from Cape Liberty in Bayonne, New Jersey. 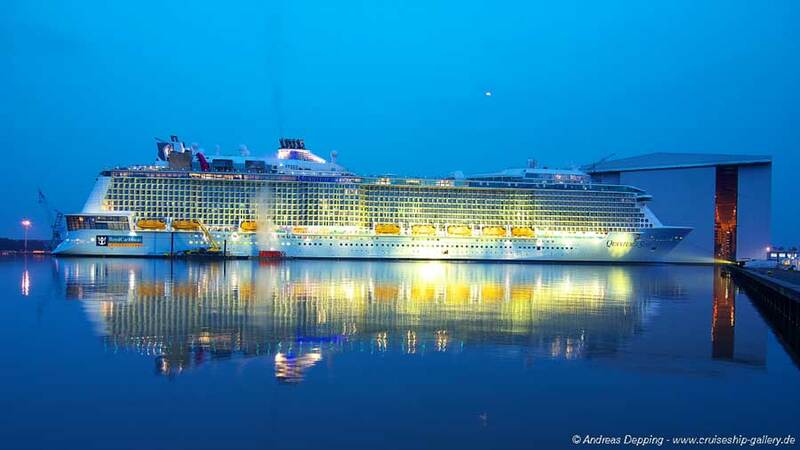 After that it will sail from Shanghai, China in May 2015.